Half and full transition days are offered in Terms 3 and 4 for primary school students progressing to high school the following year. Information and enrolment packages are provided to primary schools in the region per Department scheduling. 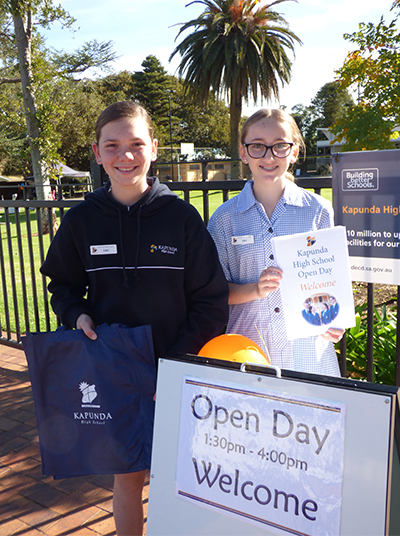 Kapunda High School hosts an Open Day in May, early Term 2. This is an opportunity for families and community members to visit the school, view displays and attend an information session lead by the Principal for prospective families. Further information about this event will be published in local newspapers and in the school newsletter.